DIY Christmas: The Internet helps you decorate for the Holidays! It is again that time of the year that is associated with good will and giving to others. However, it is also associated with snow, Santa, presents, seasonal ornaments and few other of your favourite things. However, sometimes you do not get a white Christmas, maybe you just moved out of your parent’s house so you don’t have the budget for decorating or perhaps you are avid DIY-er. Whatever the case is, we will help you to create few things, so your living space can begin to look a lot like Christmas. Just be prepared to buy few essentials like hot glue gun, glue, glitter, gold spray, twine and other equipment. First things first. Ornaments are always welcome on our Christmas trees. So how to make clear glass ornaments unique? All you need is your imagination and few things. You can fill them with twine, feathers, fake snow or you can paint them. What does the Fox say about this? That you need a spoon full of sugar, erm, I mean paint and some patience. But if you prefer crayons and hair dryer The Swell Designer shows you how to have crazy coloured end result. If you want something less fragile than glass, and by coincidence you have one too many cookie cutters that you gathered over years (and that happens more often than you think), you can try this. You are limited only by your cookie cutters and design of card stock. You can use paper, but it rips more easily. 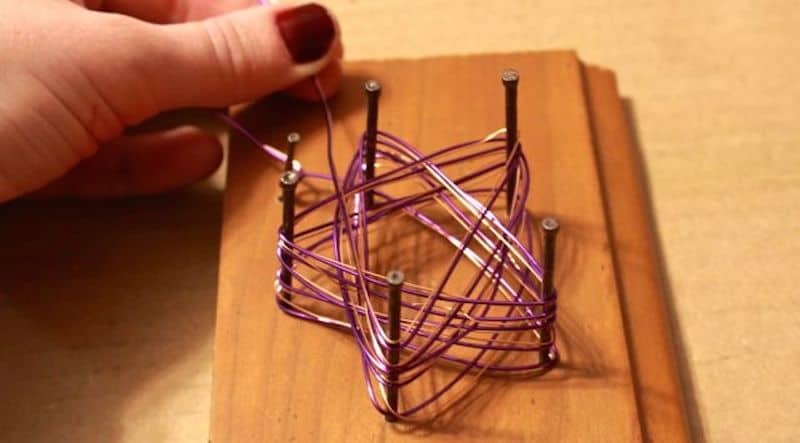 If you want something sturdier, how about star wire ornament? It involves power tools, so you can involve people with extra testosterone. You still want to up the ante? Try lighted christmas box decoration. It involves electricity! If you want to tone it down and go with some more aromatic stuff, you can make cinnamon stick stars. All you need is hot glue and twine. If you want to be able to eat your ornaments later, try peppermint candy ornaments. You probably already have all the necessary ingredients. For warm and fuzzy feelings and decorations that will make you kiss, you can try making felt mistletoe. It is not necessarily a tree ornament so hang it wherever you want. Same goes for big fancy bows that you can use for gifts or anything else, so feel free to get tangled up in that too. Speaking of bows, you can try to make bow wreath. It is cheap and fairly easy to make, but festive as it gets. Since you basically use hot glue gun, instead of bows you can use whatever you think of, so don’t be shy to use for example ornaments or real branches, although for the last one we recommend to use twine too. You can apply almost the same philosophy to cone trees but you will need to add light cardboard and scissors. 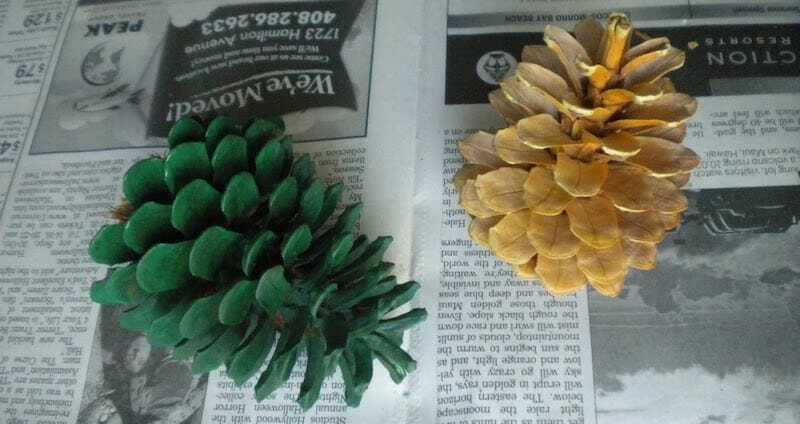 If you want something on a smaller scale, try customizing pine cones. Spray paint, glitter or whatever you come across. Speaking of glitter, be careful. Once you start to do something with it, it will end up everywhere and you will not get rid of it so easily. So while we’re at it, you can always make some glitter wine bottles. They look so fancy they almost play Iggy Azalea and Charli XCX. But don’t limit yourself on bottles only, Jenny suggested other things that you can glitter up. Less glitter? How about a twist at the end: Santa hat chair covers. Bring out your inner seamstress and season up your sitting furniture. Ok, ok, one last thing before we check out. If you need a last minute gift and all you have is a hot glue gun, try candy sleighs. Whatever you decide to do, just have fun. Include others and do not forget that i is the season of joy. Just be careful and safe with that hot glue gun. Visiting the 6th Annual International Music Festival Conference (IMFCON)Keeping Track Of Santa: Where’s He Now?